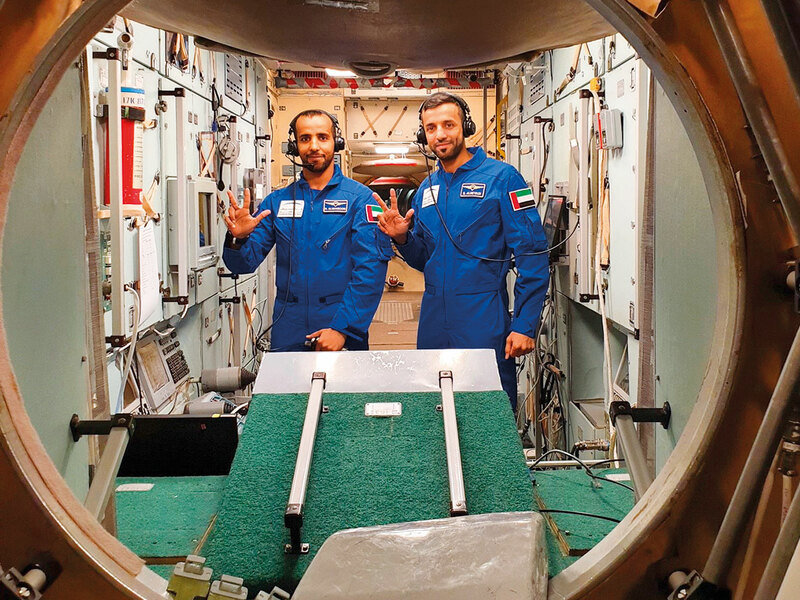 Dubai: Sultan and Hazza, the first two Emirati astronauts currently training in Russia, are now preparing for probably the toughest part of their training — surviving the brutal Russian winter in a forest on their own, officials said on Sunday. Hazza Ali Obdan Khalifa Al Mansouri and Sultan Saif Muftah Hamad Al Niyadi are training at the Gagarin Cosmonaut Training Centre in Star City, just outside Moscow. One of the them will represent the UAE in a historic 10-day space flight to the International Space Station (ISS) this year as part of the UAE Astronauts Programme. 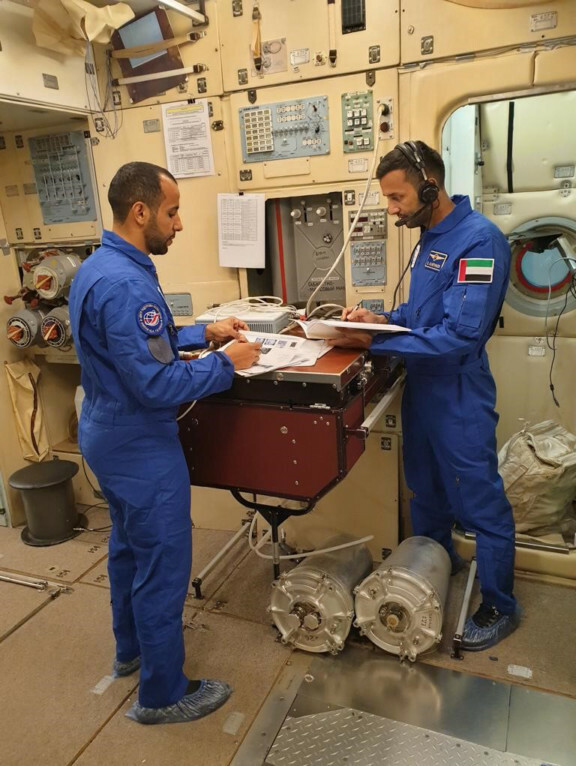 Salem Al Merri, assistant director-general for Scientific and Technical Affairs at the Mohammad Bin Rashid Space Centre (MBRSC) and head of the Higher Committee of the UAE Astronauts Programme, was in Russia over the weekend to meet with Sultan and Hazza and check on the progress of their training. “Yesterday I was with them. They’re happy, and they’re enjoying themselves and they’re focused deadly on their mission. This is the perfect time for them to do what they call the winter survival training. This is a prerequisite for any astronaut who would fly on a Soyuz mission,” Al Merri said, ahead of the MBRSC Science Event taking place in Dubai on January 21 to 22. The winter survival training takes into account the possibility that missions can be forced to make emergency landings anywhere, including in unpopulated, hard-to-reach terrain in various climatic and geographical areas. The astronauts will need to survive extreme temperatures for two to four days until rescue comes. Al Merri said their Russian counterparts had mentioned that Hazza and Sultan are faring well. More details on the astronaut programme and main programmes of the MBRSC will be shared with the public at the second Science Event happening on Monday and Tuesday. These include updates on the Mars 2117, the 100-year plan to build a city on Mars in 2117, updates on the recently launched KhalifaSat, on the Dubai Municipality Satellite, and the latest on the Emirates Mars Mission that is due for launch next year. “The Emirates Mars Mission (EMM) is on schedule. It is currently in the testing phase. It’s going to be tested a lot over the next year-and-a-half for it to be launched in 2020 and hopefully reach Mars by early 2021. The journey is going to take around seven months. Hopefully, we can start collecting data and make big announcements by the second quarter of 2021,” Omran Sharaf, EMM Project Director, said. The Science Event is the only space specialised science event in the region. It aims to bring together students from schools and universities, academics, researchers, professors, space scientists and specialists to spread knowledge about the latest technologies and science in the space sector and encourage the youth to take part in building a strong, capable, competitive Science and Technology sector within the country. What are the KEY Space Programmes to look forward to in 2019-2020? Details/Deadline: One Emirati astronaut will represent the UAE to the International Space Station on a 10-day mission. The initial flight date was April 2019 but this could still change. Details/Deadlines: It has a launch window of July 2020 to be able to reach Mars by first quarter of 2021 to coincide with the 50th anniversary of the founding of the UAE. The probe aims to give the first truly global picture of the Martian atmosphere. Details/deadlines: It’s the first environmental satellite for the region dedicated to environmental purposes to study greenhouse gases and aerosols in our atmosphere. It is expected to be completed this year and launched either end of the year or beginning of 2020.